Blue Room Photography offers in-studio and on-location photography. Our studio is at 2102-B Main St. in Daphne, Alabama. Three local professional photographers are Blue Room Team Photographers who join Cindy for weddings and events needing two or more photographers. We offer quick image turnaround: 7-10 days for weddings, 2-3 days for portrait sessions, 24 hr for mini-sessions. Our albums are gorgeous. Truly. We only use professional level, full format cameras. Meetings can be scheduled online, by email, or phone. 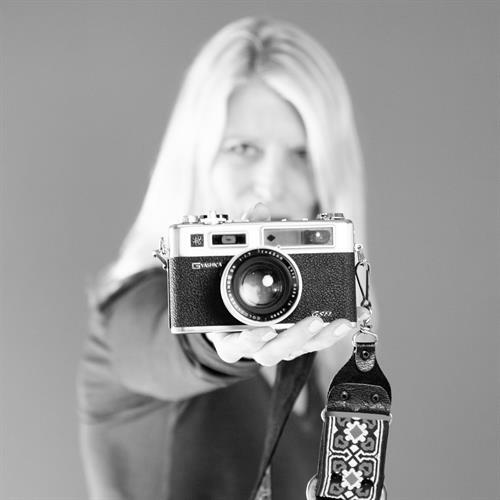 Cindy McCrory is the owner and primary photographer of Blue Room Photography. The studio follows a systematic workflow system and incorporates three teams of professionals to insure a great experience! You may order photos through our shopping cart or directly through the studio. Prints are sent to the studio or drop-shipped if that is what you prefer. Our photography team currently has three professional wedding and special event photographers. All have exceptional talent and at least ten years or more of wedding, special event, and portrait experience. Blue Room does not use our bookings as training grounds for newbies. I have a Bachelor's Degree in Communications from New College at the University of Alabama, plus a Certificate of Photography from University of South Alabama. I was a student of film photography for years, and black and white film photography was my hobby! My hobby turned into a career beginning with a Communications Director position in the office of the Episcopal Diocese of the Central Gulf Coast. In addition to creating and managing the diocesan website, I took photographs in Episcopal churches across the Gulf Coast, using a Canon Rebel, a Canon "point and shoot" and a couple of my older film cameras. In 2010 I succumbed to my addiction and purchased my first professional level digital camera, a Canon 5D Mark II, and started my wedding and portrait photography business from my home. I have added an additional full format camera, the Canon 5D Mark III, to my shooting arsenal over the last 3-4 years. If a shoot requires more specificity or if my team needs additional equipment, I lease professional level equipment from my friends at Lens Rentals in Tennessee who ship to me in one day. The afternoon that a long awaited box arrived from Canon with my first PRO LEVEL CAMERA, I was so excited that I tore into the box and began walking around the neighborhood taking photos. I returned at dusk and all of the lights in my house were on, including the bedroom I was using as my editing room. The room's walls are a Martha Stewart color named named "Milk Paint" from Sherwin Williams. I also had small blueish halogen desk lights turned on. All of the windows in my house were glowing with the GE golden light except for the one window belonging to the office. The light coming from that window was SO BLUE. Quite honestly, it looked terrible from the street because it was so different from the other windows. BUT it ultimately served a purpose! I had been struggling with a name for my business, and although most people use their own name for their photography business, my business class at USA recommended using a third party name in case you want to ever sell the business or have children take it over at some point. 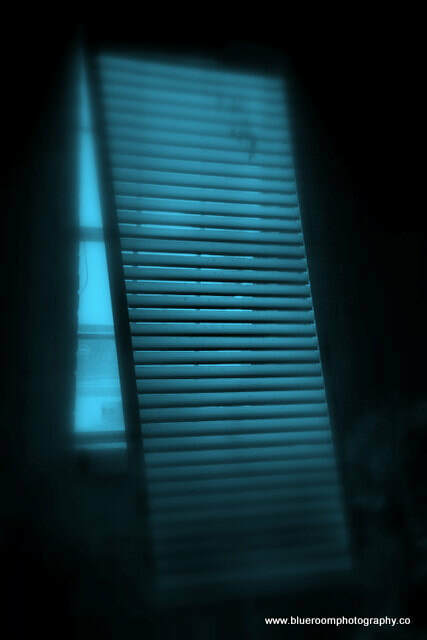 So after seeing the blue room window, I lamely named my photography business BLUE ROOM PHOTOGRAPHY. ​I moved into my current studio in 2013. Its a great looking space in a barn studio behind the law firm of Coumanis & York. I rent from my buddies at Ashurst & Neimeyer on the Eastern Shore of Mobile Bay. ​In my current studio there is hardly any blue except for four blue cushions. Everything is white or khaki! But I do have a blue rug on my wish list. The studio is constantly being rearranged depending on the type of shoot we have planned. Most days the studio is set up for what we do almost daily: meetings and headshots! Drop buy to look at album samples, enlargements, view images on our large Apple screen, and see my collectioin of old film and video cameras. Its a wonderful place to be everyday! Please come visit me, bring your laptop and use my wifi. I have a nespresso coffee machine and I love company. Text me to be sure I am at the studio: 251.509.6635. Old camera collection that includes old Polaroids, Brownies, a couple of old 8mm movie cameras, and a relatively rare Yashica - the first camera to have anything electronic. 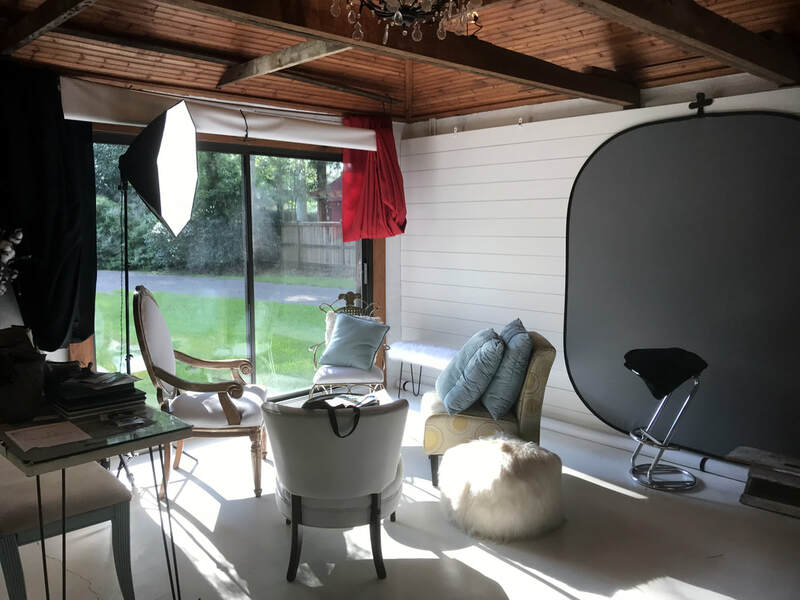 I turned my photography habit (addiction) into a full time business in 2010, and moved from my home studio into a beautiful barn studio space in 2013. I shoot weddings and commercial photography on location, and headshots and portraits in the studio and studio courtyard. Family portraits are in multiple locations: bluff of Mobile Bay, beach at the gulf, my studio courtyard, and in family homes.